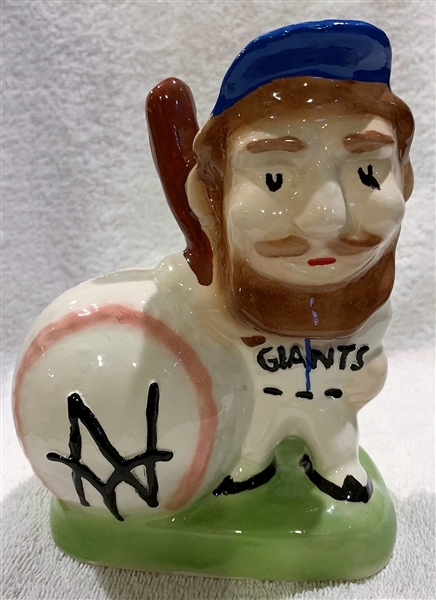 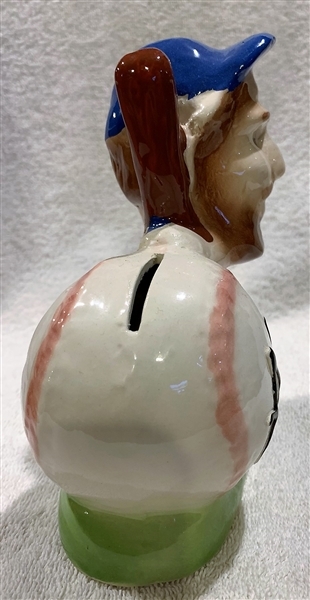 This porcelain bank is of the now-defunct N.Y. Giants. It has an amazing mascot head. 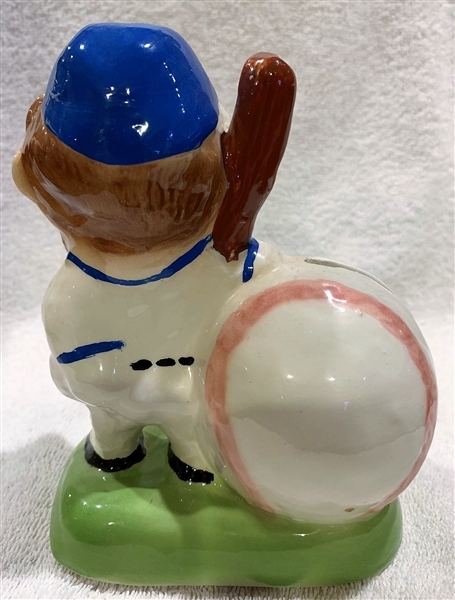 It's bright & clean and near mint.